IT distractions can cause business a lot of time and money. 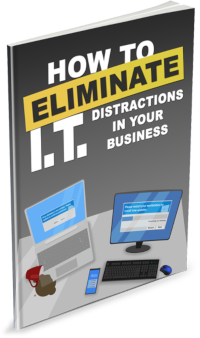 In our latest eBook, we talk about some of the top IT distractions that impact businesses and what we can do to solve them. As always, if you want to talk about ways to eliminate distractions, give us a call on 08 8326 4364 or support@dpcomputing.com.au. This entry was posted in eBook and tagged e-book, ebook, it distractions by David Perkovic. Bookmark the permalink.